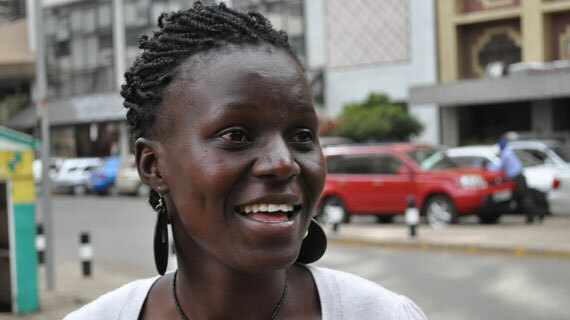 Kenya’s pioneer professional female soccer player Doreen Nabwire has finally returned home after a two year professional stint in Europe. Doreen came back home this month from Holland where she attained a professional UEFA C coaching license alongside another Kenyan professional player Martha Karemi who is now a qualified coaching instructor. Doreen played for Werder Bremen in the German Bundesliga league for one season before moving to play professional soccer and study in Holland for another season. While in Holland, she was joined by another talented star Martha Karemi but are both back home to play and develop the sport locally. “Am back home. It was a wonderful experience playing out there and I feel previledged to be the first Kenyan woman to play in top professional leagues in Europe.” She said. The two players Doreen and Martha will now shift focus to developing the neglected women soccer in the country through ‘The Girls Unlimited’ organization registered by the two with an objective of supporting and developing girls’ soccer in Kenya. “I feel challenged to be a part of a process that will offer an opportunity to other emerging talents to get the same opportunity and that only starts by developing a solid foundation from the grassroots.” She said in an interview with michezoafrika.com. Doreen has joined local based soccer club MOYAS FC but feels challenged at the level of the game in Kenya compared to what she was used to in Europe. “There is a big difference in many ways and especially the technical side of the game. It is very low, but I believe that is why Martha and I took the coaching course so we can be part of the development process to grow the sport in Kenya. It starts with me and I will take it all the way.” She said. The last time the national women’s team played in an international match was in 2006 when they lost 6-0 in Kenya and 5-0 n Cameroon in an African cup of nations qualifying match.